Plastic prefabricated parts from our company have been successfully used by customers in the water-building industry for many years, for example for the protection of port and lock construction facilities as well as quaysides. The material used is mainly ISO-LEN® WBS (WBS-WasserBauSondertyp), which was specially developed for this purpose and impresses with its longevity and cost-effectiveness. Base material for ISO-LEN® WBS is an ultra-high-molecular-weight polyethylene (PE-UHMW). 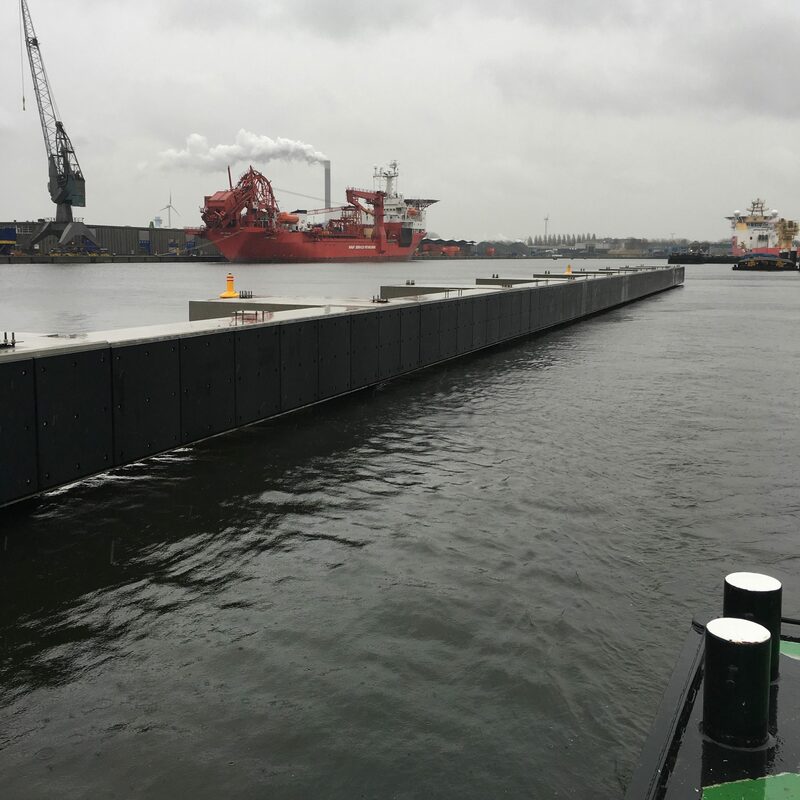 ISO-LEN® was installed, for example, in the lock gates in Wilhelmshaven and Münster, in the Oosterscheldekering project in the Netherlands (floodgates) and in numerous construction projects in the Kiel Canal.